It can be difficult to think of new Instagram content to create all the time and fun ways to engage with your followers so why not make it fun with a 30 day Instagram challenge? Your plastic surgery Instagram content and engagement doesn’t have to be the same thing all the time. Go outside your comfort zone and try out this 30-day challenge to see if it will help you increase followers and engagement. Take your plastic surgery Instagram account to the next level with these steps. Whether you have a stellar assistant in the operating room or amazing admin, your team deserves to be recognized. Post a photo or video with some highlights about your team member to show them off. Head over to the search feature on Instagram and type in your city in the location. From there, start liking and commenting on posts that are in your city. This will encourage random people to visit your page, thus increasing your followers! Travel much? Whether you travel for work or for pleasure, it’s always great to share a bit of your personal life with your followers. Show off the last city you’ve visited in a post. Want to know what they like or don’t like? In an Instagram story, use a poll or ask a question asking their preference. For example in a poll asking “What type of procedures do you prefer to see? 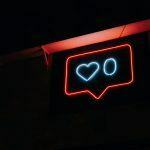 Breast Augmentations or BBL?” Or ask a question, “What kind of content do you want to see more of?” Finding out your follower’s opinions can help you create better content. If you have a patient who adores you, show it off. Whether you have a video testimonial or they left you a great review on Yelp, featuring it can help potential patients consider you for their procedure. There are a lot of misconceptions out there about procedures. Take video footage from a past procedure and put in some audio overlay to explain the procedure and to demystify misconceptions. If you do anything that helps out your community or you do any acts of kindness volunteering abroad, this is a great thing to show off on your Instagram. It’s always a breath of fresh air to see something funny on Instagram. Repost a funny meme or cartoon you saw or your own funny picture. What drives you every day? Is it making your patients happy? Post whatever motivates you in your career. Use Instagram Stories to your advantage by showing your followers what a day in the life of a plastic surgeon looks like. There has to be at least one procedure you feel the proudest of performing. Post this and explain why it makes you proud. Post your favorite quote or one you try to live by each day. Day 13 – Ask Your Followers What Procedure They’re Considering? Curious to know what plastic surgery people want? Ask your followers in a question on Instagram Stories. Have a patient who loves their results? Repost one of their photos! A fresh bio can make all the difference. Most people have a spreadsheet of general hashtags they use on all their posts. When was the last time you looked into new hashtags to use? 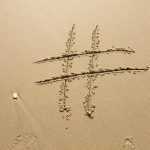 Complete hashtag research to see what’s trending and not. Go through your newsfeed and engage with your followers! Show them how much you care about them. Also, make sure you’re responding and engaging with people on your own posts. Have any photos of when you were in med school? Post one! Take a video where you describe who you are, your background and why you wanted to work in plastic surgery, to begin with. Where do you love to eat? Show your followers! Have you taken a video where you kept messing up? Show your followers your bloopers for fun! Day 22 – Go Live! Going live on Instagram is a great way to engage with your followers and answer their questions. Are you reading anything? Share it with your followers. You’ve got to have a favorite procedure you enjoy doing, post it and share why it’s your favorite! Show off all of your degrees! Sharing this glimpse into your personal life helps your followers get to know you better on a personal level. If your followers haven’t visited you, it’s always great to show off the office they will be visiting for a consultation. Do you paint? Draw? Work on cars? Give your followers a glimpse into your hobbies. 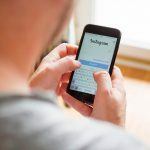 Commenting and liking other plastic surgeon’s posts is a great way to network and connect with potential patients elsewhere. Post a thank you to your followers for following you and being great. If you need some extra help with your Instagram content, give Practice Affiliate a call or fill out our online form today. We’re happy to help you take your Instagram content to the next level.